Fifty years after being stolen from Turkey, a sarcophagus of the mythical warrior Hercules was returned home on September 14. The 2,200-year-old treasure was stolen from Turkey during illegal excavations in the early 1960s in Aksu, in Turkey's Mediterranean province of Antalya. It was confiscated in 2010 by the Swiss customs authority at the port of Geneva. 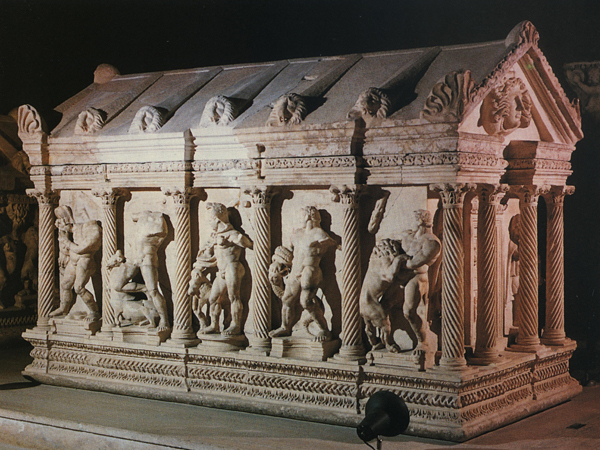 In September 2015, the Geneva Public Prosecutor's Office announced its decision to return the tomb to Turkey. Before being repatriated to Turkey, the tomb was exhibited at Geneva University for a few months. The artifact, which depicts the legendary 12 labors of Hercules, will now be placed among other historical sarcophagi at the Antalya Museum.